John Phillips, who has died in Phuket aged 90, was a literary figure from a bygone age, who could have been a character in a novel by Somerset Maugham. An American intellectual, he became the literary executor and champion of Violet Trefusis, the writer and socialite, with whom he shared an amitié amoureuse during the last 12 years of her life. Thirty years her junior, he met her in Florence and there was instant chemistry between them. She was the daughter of Alice Keppel (mistress of Edward VII) and had enjoyed a celebrated love affair with Vita Sackville-West and later with Winnaretta Singer, Princesse de Polignac. Phillips, a young romantic in quest of a fortune, led an extraordinary life in which he travelled the world and enjoyed the friendship of Rudolph Nureyev, President Mitterand, Pietro Annigoni and many more. He possessed a knack for getting others to support him, house him and entertain him, which served him well for most of his life. John Nova Phillips was born in New York on April 12 1926 and educated at Duke University, acquiring an MA in 18th century English literature. From an early age he was well read and in his youth worked on an edition of Horace Walpole’s Letters for Yale, and spent a year teaching boys at Avon Old Farms School in Connecticut. While there he tried to edit some letters from Henry James, which were eventually published in the journal Botteghe Oscure in 1957. 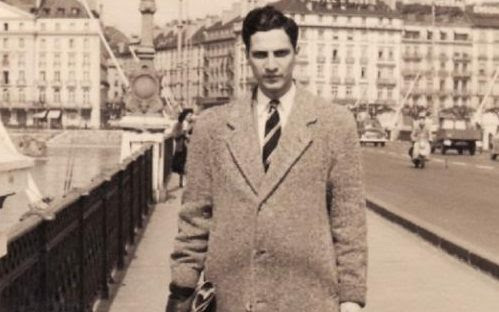 In 1951 he spent seven months travelling about Europe, starting with a six-week summer term at Magdalen College, Oxford, where he attended lectures given by Lord David Cecil. He went to Florence where he was taken up by Miss Katherine Child, a formidable Bostonian who ran a finishing school. 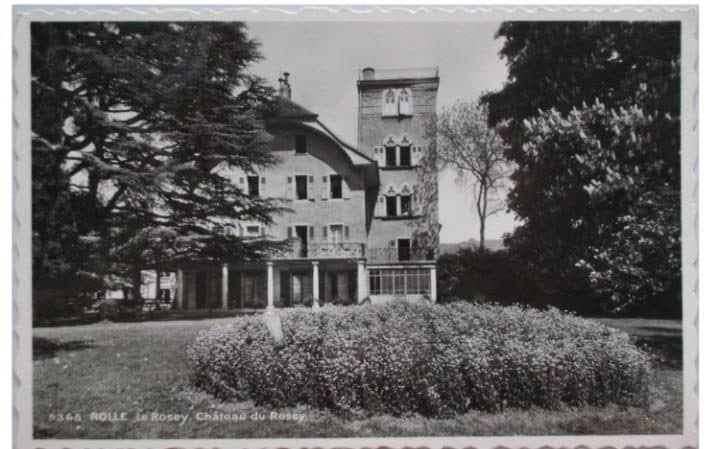 He was taken to visit Bernard Berenson at I Tatti, finding the old sage in bed. Miss Child arranged introductions for him to Count Guido Chigi, a patron of music in Siena, and to Maria Elena Pignatelli in Venice. Phillips was happy to accept their hospitality. He continued to Rome, Naples, Capri (making friends with the photographer, Horst, who took languid snaps of him), and to Sicily, where he was entertained by another princely family. In Taormina an elderly American art historian paid him “many flowery compliments”, but Phillips insisted that he retained his innocence. He travelled on to Spain, ending his tour in Granada. 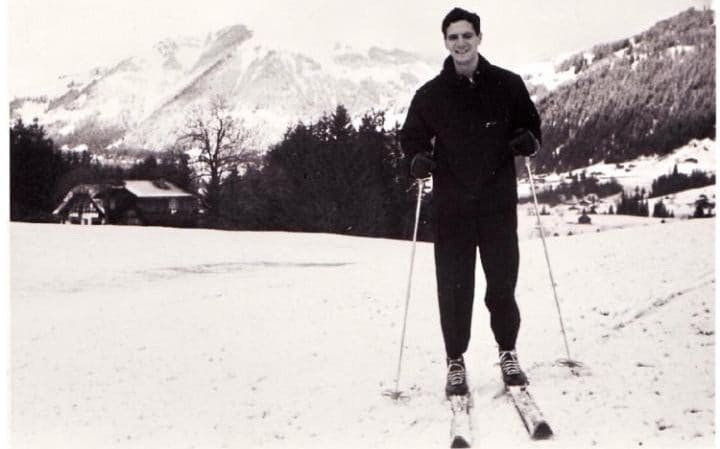 In 1955 he taught English at Laval University in France before applying to Le Rosey in Switzerland, drawn to “exotic students, delicious meals, luxury, even maid service and ski slopes”. He secured a position as English teacher and surveillant of the senior étage for the summer term of 1955, and stayed until 1956. At the interview he observed signed photographs of old boys – the Shah of Iran, an Indian Maharajah, and one of Princess Marina (her son, the Duke of Kent, having been at the school). One of his pupils was Crown Prince Alexander of Yugoslavia, who had special lessons in Serbo-Croat and was left at the school over Christmas. 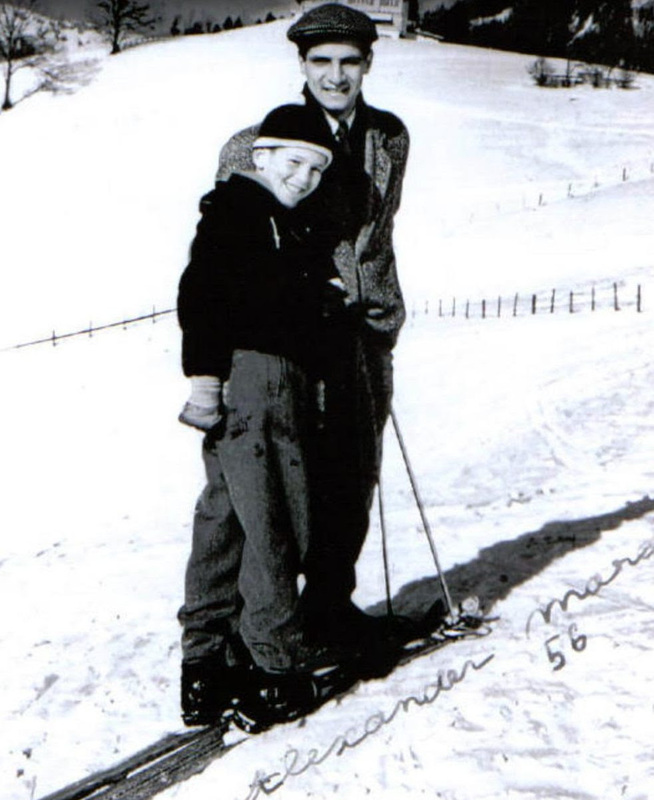 Phillips took him skiing, and later, while staying with Peggy Guggenheim in Venice, made friends with his grandmother, Princess Aspasia, whom many avoided, convinced that she had the evil eye. Another pupil was Robin, Marquess of Tavistock, later briefly 14th Duke of Bedford. There were occupational hazards in working for such a school. When he tried to put the Shah of Iran’s nephew on detention for lying, he found it interfered with the headmaster’s plans to enjoy lashings of caviar with him at a celebration of the Shah’s birthday in Berne. Punishment was postponed until after the expedition. In 1958 he moved to Florence and two years later he found his quested fortune, when Lord Wharton took him to dinner at Sabatini’s in Florence to meet Violet Trefusis. She lived in the Villa dell’Ombrellino, while he lodged in rooms in the Palazzo Guicciardini. He was seeking a romantic encounter and she was lonely. Being American was an advantage, as to her Americans were creatures from another planet. As Phillips described it: “So we both decided to be in love!” He thought it a game, without delineating at what point it ceased to be a game. She was soon enthralled, addressing him as “Nemours” and signing herself “Sacha, Princesse de Clèves”. Unsurprisingly, her established coterie, such as the retired diplomat Frank Ashton-Gwatkin, were less impressed by this new arrival. Phillips was soon accompanying Violet Trefusis to stay with a sinister monocled figure, Count Jean Ostrorog, living at Kandilli on the Bosphorus. One evening he found himself in an exotic Chinese room in the Count’s wooden house or yali. In August 1966 Phillips caught the eye of Rudolph Nureyev, who invited him to accompany him to La Scala. The dancer hoped Phillips would write about his art, but he was more absorbed by his private life, since Nureyev chose to “slip away and seek his adventures in the rough and dangerous pastures of Milan” at a time when there were genuine threats that he might be kidnapped by furious Communists. The trip was punctuated by jealous telegrams from Violet Trefusis summoning him back to Florence. With Violet he met President Mitterand of France (who visited him at Saint Loup in 1977, bringing with him his secret daughter, Mazarine, then a little girl); in Florence, Annigoni regaled him with stories of his sitters. One evening in Paris, he was in a car with the Duchess of Windsor and as they drove through the Bois de Boulogne, he found himself explaining what the ladies of the night were up to. During these years he tried his hand as an art dealer, procuring paintings for American galleries, but these ventures failed. 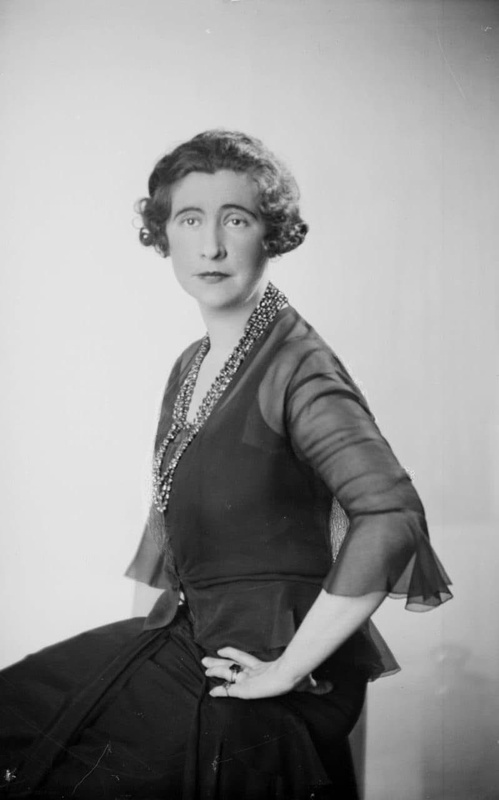 Violet Trefusis died in 1972, leaving Phillips her last home, La Tour de Saint Loup, where he discovered that Mrs Keppel had hidden a treasure-trove of gifts and letters from Edward VII, as well as photographs, for safe-keeping during the war. 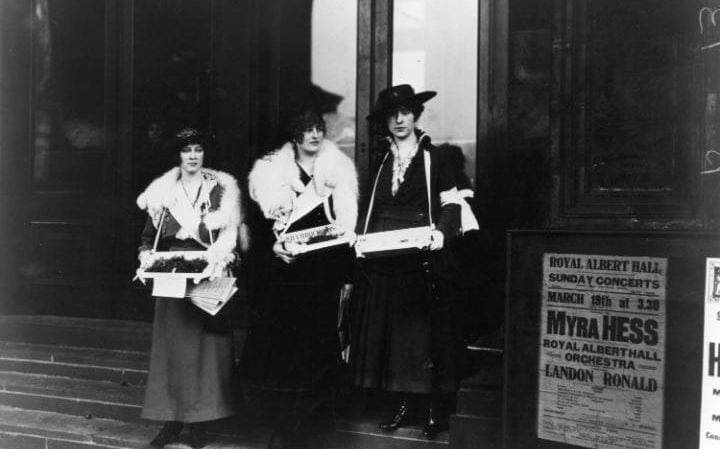 He gave the King’s letters to the Royal Archives in 1974, and exhibited other items in an exhibition called The Last Edwardians, which travelled to Boston, Palm Beach and Melbourne. With the help of the art historian Philippe Jullian, in 1985 Phillips produced a memoir, Violet Trefusis, Life and Letters. 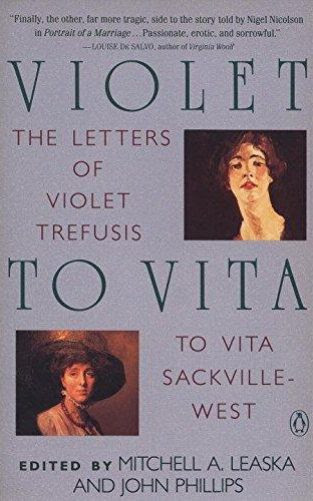 Later, in 1991, with Mitchell Leaska he edited To Violet from Vita (The Letters of Violet Trefusis to Vita Sackville-West 1910-1921). As Violet’s literary executor, he instigated a series of sales, so most of her papers went to the Beinecke Library at Yale, including 300 letters from him. His inheritance included a substantial amount of Mrs Keppel’s Canadian railway stock, until eventually he ran through it. Phillips took a close interest in the publication of Nigel Nicolson’s Portrait of a Marriage in 1972, and did not hesitate to complain when other authors failed to do justice to Violet. In the 1990s he was befriended by Camilla Parker Bowles, who, as Violet’s great-niece, was interested in the fate of the Villa dell’Ombrellino, sold by her mother and uncle. Eventually economics caught up with Phillips. He sold Violet Trefusis’s house, papers and chattels. He moved to Thailand after spells in Italy and Switzerland, settling in Phuket, from where he tried with relentless persistence to persuade friends and casual acquaintances to seek publishing outlets for his memories of once famous figures or to purchase valueless copyrights, despite having sent his own papers to the Lilly Library at Indiana University in 2004 and 2013 (including photographs of Andy Warhol and Gore Vidal). His friends sighed at the deluge of attachments which arrived by email, along with desperate pleas for financial assistance. He lived in the Allamanda, part of the Laguna complex in Phuket, near the fashionable beaches, but was evicted from there for failing to pay the rent. His young Muslim helper found him two air-conditioned rooms where he lived as a hermit. He requested a Buddhist temple cremation with a simple ceremony, presided over by a friend, in one of Phuket’s many temples.